Would you like a new purse shipped to you every month? Well you have come to the right place! 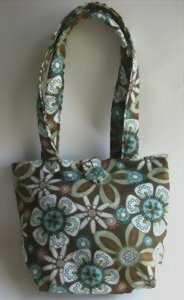 1) A new hand made purse will be shipped to your door once a month for 12 months! 3) All 12 purses will be different colors. The styles may be the same or slightly different. 4) The special club price is $180.00. That is a $47.88 savings if you where to purchase a purse once a month form my store. ( Regular purse price is $18.99, the club price works out to $15.00 each purse). 5) Please contact me for installment payment arrangements if you don't want to pay all at once. I will be happy to work with you. 6) There are only 10 spots available in the club so act fast! Size: The small being 8"H x 11"W and handle length of 14 or 21". Notes: This purse is super cute and comfy to hold with padded straps.